Thumbi Thumbi va va…Picture a scene - a song from 1956, K Raghavan master’s music and Vayalar’s lyrics. The nervous Vayalar Rama Varma would have been sitting and listening to his very first lyrics for the movie ‘Koodapirappu’ being sung by Shanta Nair. After the opening lines, he would have finally relaxed, and allowed the magic of the experienced singers voice to take over. Or switch to another scene – The great MB Sreenivasan is tuning a song for Kalpaadukal. He asks ‘Shanta, do you think you can do a duet with a young newcomer’? Shanta says (a time when stalwarts usually refused to sing with newcomers) – ‘of course, why not’ – thus introducing Yesudas into the singing scene, singing the chirpy song ‘Attention penne’. Or the great Baburaj doing his very first movie ‘Minnaminungu’ with Shanta singing ‘Vallittu Kannezhuthanam’…or some years later, enthralling Salilda with her own composition for a ‘Salilda movie’. Sadly, yet another great singer of yesteryears passed away recently (July 28th 2008), after prolonged illness. I had been collecting information on Shanta P Nair even before her demise and it was a blog entry by Cris and Jo’s gentle prod for a music related blog that finally got me to finish this. 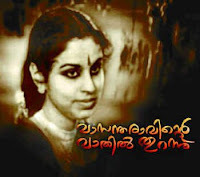 The collection of information that I have on this great singer, other than having listened to her songs comes from the archives of our fine ‘Hindu’ newspaper, namely the articles by K Pradeep, Jayakumar and Ambika Varma and various comments from music enthusiasts of Entelokam, a fine Malayalam music site. Calicut, a city of the arts & trade, yet again figures in this fine singer’s story. I remember the hallowed recording rooms of the AIR station across the Arabian Sea waters, right on the beach. The air conditioned interiors smelled different where as a child I had gone there many times to participate in some programs. This was also the place where my wife used to sing some years ago. Abdul Khader worked there, so did Shanta P Nair as an announcer, initially. Then the two became popular with their ‘lalitha ganam’ programs. It was here that Shanta Nair met drama writer & program director Padmanabhan Nair, married him and settled down into the routines of family life and away from the recording rooms. (However Saraswathy Amma in a recent article stated that Shanta Nair also worked at the Trivandrum AIR later). And once in the absence of Salilda, she composed a tune for Ramu Kariat. Salilda after hearing it insisted that it be retained without changes in the final release. Shantha remembers how she was persuaded by Ramu Kariat to compose music for that song in his film `Ezhu Rathrikal.' The music director Salil Choudhury was away in Mumbai. The song was `Makkathu poi varum maanathe.' "When Salilda heard it, he complimented me profusely. It is such a simple and nice tune and sung by her daughter Latha Raju. She also did the chorus for Salilda later in the Chemmen songs. Her last song was in 1961/5 for V Chidambaranath’s Murapennu `Kadavathu thoni aduthapol' in the film `Murapennu' along with S. Janaki. The song remains a hit to this day, and it was Shanta's last screen song (You can get a flavour of her “kadavathu thoni’ when you hear the Ousepachan song ‘Ormakal odi’ from Mukundetta sumitra vilikkunnu). She recalls with pride how thrilled she was when she got an opportunity to sing `Vande Mataram' before Pandit Jawaharlal Nehru. ‘Unarunaroo Unnikanna...’ a solo by Shanta P. Nair, based on Bilahari raga, is still one of the best devotionals in the language. Shanta P. Nair immortalized many film songs with her mellifluous voice in a career spanning from 1951 to 1967. 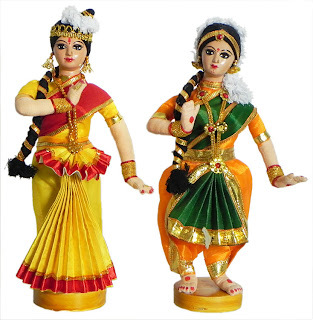 She was equally proficient in Carnatic music and held many concerts, which she used to end with light music. She is no more, but her music and sweet voice will remain in our hearts. Thiramala, Balyakalasakhi, Neelakuyil, Aniyathi, Koodapirappu, Manthravadi, Rarichan Enna Pouran, Newspaper boy, Kaalam Marannu, Achanum Makanum, Jailpulli, Minnaminungu, Padatha Painkili, Lilly, Mariakutty, Chaturangam, Krishnakuchela, Mudiyanaya puthran, Sabarimala Ayappan, Baghyajathakam, Kalpadukal, Laila majnu, Palattu koman, Swarga rajyam, Veluthambi Dalawa, Vidhi thanna vilakku, Moodupadam, kalanju kittiya thankam, Tacholi othenan, Murapennu, Chemeen, Ramanan, Dantha gopuram, Ezhu rathrikal. Wife of late Padmanabhan Nair, daughter of R Vasudeva Poduval and Lakshmikutty Amma, hailing from the Ambady Family Trichur. Survived by Latha Raju also a singer (AIR Chennai Deputy Director) and son in law JM Raju a music director and singer himself. Shanta Nair won the Sangeet Natak Accademy award in1987. Some years ago I penned a short introduction to this singer. This is an updated and corrected version with more details collected over the years, some received from his nephew and the rest from various sources and documentaries. In the course of time a book was also published on this rather unfortunate and unlucky singer and a few tidbits are thanks to the work of Nadeem Naushad, who was the author of both the book and the documentary. During this period I added to my collection of songs by Satyajit, some original songs by Khader himself, and a more ‘closer to original’ version of Pacha panam Thatte. But more about all that a little later, first let us get to know the legendary singer a bit better. To do that I must go back in time, just over a year ago in California. The other day we all listened to a sonorous recital of the famed ‘Babul Mora’ in the Saigal style by our good friend Subash, during our music Samaroh session. As I had the responsibility to introduce the song, I did a little digging and come up with the brief background. The song took us back many decades, and as we watched the emotions play on Subash’s face and the mournful words came out of his mouth all the watching eyes and faces were rapt in attention. The song played over and over in my mind for a long time since then, taking me back to memories of many more favorites by Saigal and Mukesh. Many others have written about this story, but well, I thought, I will provide it some more depth and make an article of it. You may have seen a sensuous Mohiniattam by the dancer in the traditional Kerala whites and you would have seen may others in Malayalam movies and sometimes bits in a Hindi movie like dil se..but how did mohiniyattam get formulated? What has Maharaja Swati Tirunal got to do with it? What role did Violin maestro Vadivelu play in the drama and who indeed was Sugandhavalli? Those who have seen the movie Swati Tirunal would have an inkling about the tempestuous days of the young king, in fact his last happy and sad years, but let us try and take another look, for it is a story of persons, and of their simple desires in life, a story of dance, music and love and as we all know, these have a habit of coexistence, and is the formula in many a heartwarming story. One could go north or south in Kerala, through the various regions, where they talk different dialects, think somewhat differently even, where the Malabar aristocrat sometimes subtly expresses his mistrust of the Travancore person or vice versa, where even the food habits and spoken dialects change with the terrain, but there is one thing they will all agree to, that the ‘Malayalee standard’ lullaby is Omana Thinkal Kidavo penned by the illustrious Irayimman Thampi for his young nephew Swati Tirunal Rama Varma. Most children would have grown up listening to someone in the house humming this song, for it is a dear memory in many a Malayalees childhood. It was a desire to sing it for our recent Samaroha that made us check the background in detail.